No Florida Congress member can take more credit in laying the groundwork for President Barack Obama’s “normalizing” of diplomatic relations with Communist Cuba than Tampa area Democratic Party Representative, Kathy Castor. Despite a very strong Cuban-exile, anti-Castro lobby in her home state, Rep. Castor has been relentless in her quest to make life easier for the terrorist-sponsoring, revolution exporting Castro brothers. Using commercial opportunities and trade as bait, Rep. Castor has helped build a powerful lobby in her own state, which has set the stage for President Obama’s unilateral decision. Rep. Castor is not a member of the Congressional Progressive Caucus or similar pro-communist alliances. She emphasizes commercial advantage over ideology in her campaign. Castor will also criticize Cuba’s abominable human rights record when convenient. However, I believe she is just as ideologically committed to the Castro cause as is President Obama himself. Incidentally, Betty Castor was appointed by President Obama in September of 2011, to the J. William Fulbright Scholarship Board, which oversees the worldwide Fulbright Program. On November 13, 2014, the Board elected her as Chair to begin a one-year term on January 1, 2015. If the Communist Party liked Betty Castor, they should just love her daughter. Much of Kathy Castor’s pro-Cuba activism has been in conjunction with the Washington, DC based Center for Democracy in the Americas, a spinoff of the far left Center for International Policy, and the notoriously pro-Castro Institute for Policy Studies. In April 2013, the Center for International Policy partnered with the Alliance for Responsible Cuba Policy Foundation to host “Rapprochement With Cuba: Good for Tampa, Good for Florida, Good for America.” Rep. Castor provided the opening remarks at the Friday evening cocktail event in Tampa, FL and welcomed the panelists. The following day, the panelists discussed the Obama Administration’s Cuba policy, the State Department’s list of terrorist states, the Cuban-American vote, the US Congress’ Cuba policy, doing business in Cuba, deep water oil drilling in Cuba’s territorial waters and travel to Cuba at the Historic Cuban Club. Kornbluh has a history of cheerleading for communism. 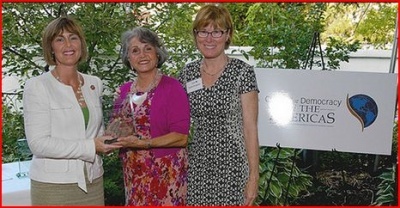 The Institute for Policy Studies’ 33rd Annual Letelier-Moffitt Human Rights Awards were granted, Thursday, October 15, 2009. One of those the Award was named for was Cuban intelligence officer and Institute for Policy Studies staffer Orlando Letelier, killed by a Chilean government ordered car bomb in Washington, DC, September 21, 1976. Kornbluh was on the Award selection panel. Rep. Kathy Castor also attended the Center for Democracy in the Americas’ 7th Anniversary Event, July 11, 2013. 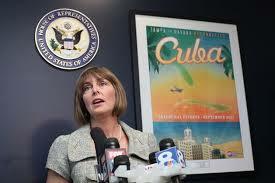 Kathy Castor traveled to Cuba in early April of 2013, with members of her staff and representatives of the Center for Democracy in the Americas. “They are still a hard-core communist nation, but they are embarking on market reforms in their economy that deserve encouragement,” said Castor. The Center for Democracy in the Americas connection is problematic from another angle. 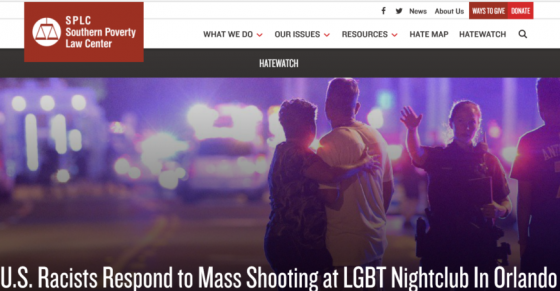 Until recent times, the Center listed as one of its key Advisory Board members as the infamous Julia Sweig. Also listed among “former fellows, project co-ordinators and staff” of the Institute for Policy Studies, Julia E. Sweig is the Nelson and David Rockefeller Senior Fellow for Latin America Studies and Director for Latin America Studies at the Council on Foreign Relations. In October of 2008, in Miami, Christopher S. Simmons, one of America’s foremost authorities on Cuban Intelligence, a Lieutenant Colonel in the US Army and a career counterintelligence officer, identified several Cuban spies and their operations in the US. He later added several other names. She may be one of two very unique categories of agents – an Agent of Influence or a “Persona de Confianza,” – another DI intelligence category. She has directed numerous Council-sponsored Task Forces on Latin America, currently serves on the Board of Directors for Foreign Affairs en Español; consultant on Latin American affairs, Congressional Program, The Aspen Institute (1999-present); Project Director, Center for Preventive Action Commission, Andes 2020: A New Strategy for the Challenges of Colombia and the Region (2004); Director, Independent Task Force, U.S.-Cuban Relations in the 21st Century, A Follow-On Chairman’s Report (2001). Wrote OPED pieces re Elian scenario and “Cuban terrorists” in the U.S.
Ramon Sanchez Parodi Montoto: Became the first Chief of the Cuban Interest Section in Washington, DC on September 1, 1977, when the US and Cuba re-established diplomatic missions. This career spy served in Washington until 1989… Experts remain undecided as to whether he is DGI or from the infamous America Department (DA). In testimony before the US Senate, Dr. Daniel James charged Sanchez-Parodi with targeting the Congressional Black Caucus to foment opposition to existing US policies toward Cuba. Jose Antonio Arbesu Fraga: Director of the America Area (formerly the DA) of the International Department of the Cuban Communist Party (PCC/ID). Following the 1992 resignation of legendary Cuban Intelligence officer Manuel Pineiro, Jose Antonio Arbesu Fraga, one of the DA’s Vice Directors, was selected as his replacement. In May 2004, Mexico forbade future visits by Cuban officials Arbesú and Pedro Miguel Lobaina-Jimenez de Castro. Fernando Miguel Garcia Bielsa: As a 1st Secretary at the Cuban Interests Section, he was one 14 spy-diplomats expelled in May 2003. Earlier this year, Garcia Bielsa served as the Political Counselor in Santiago. Normally, Garcia’s extensive DA service, long-term ties to US terrorist groups (i.e., Puerto Rican extremists) and past service in the US would make his Santiago posting an anomaly. However, Santiago is likely a relatively benign operational area for a “burned” spy to continue to work with leftists groups and American agents. Josefina de la C. Vidal Ferreiro: First Secretary at the Cuban Interests Section. One of 14 expelled in May 2003. Hugo Ernesto Yedra Diaz: Yedra attracted considerable attention on November 22, 1977 when his briefcase exploded in the lobby of an Upper East Side apartment building. Yedra had set the case down to call for an elevator and apparently failed to activate the safety device on the case’s self-destruct device. Yedra lived in the building, but gathered his documents and fled the scene before police could arrive to investigate. Jose Gomez Abad: A central figure in an attempted terrorist effort known as the “Black Friday Attack” on November 17, 1962, just weeks after the Cuban Missile Crisis. The FBI detained three Cuban Diplomats from its UN Mission and seized a cache of explosive and incendiary devices. Washington detained the Cubans on espionage-related charges and stockpiling munitions for use against US installations. Cuba’s targets included the Statue of Liberty; retail giants Macy’s, Gimbels and Bloomingdale’s; the main bus terminal on 42nd Street; Manhattan’s busiest subway stations – including Grand Central Station and several oil refineries along the New Jersey riverbank. Twelve detonators, several incendiary devices, grenades and 500 kilos of TNT were to be used on Black Friday – the busiest shopping day in the US. Many of us forget the murderous intent shown by Castro’s agents in the United States. Rep. Castor is knowingly, or unknowingly, serving the interests of an enemy nation with a long history of spying, subversion and aiding and planning terrorist attacks on US soil. She has also allied herself with some of America’s worst homegrown subversives. Should Kathy Castor and her associates be investigated by the incoming Republican controlled Congress? New Zealander Trevor Loudon has addressed more than 400 events, in the United States of America. He is an internationally known blogger and researcher, noted among other things for exposing the communist background of Obama “Green Jobs Czar” Van Jones, which led to his eventual resignation from his White House position. Loudon was also the first to publicize Barack Obama’s ties to Hawaiian Communist Party member, Frank Marshall Davis. 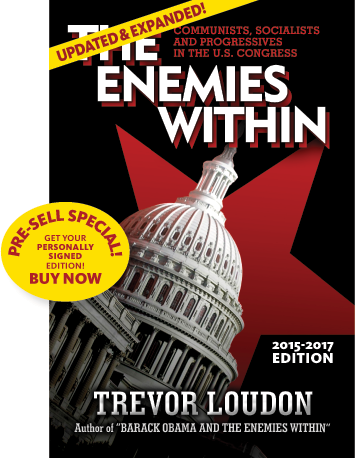 Loudon’s research has been cited by Glenn Beck and Rush Limbaugh, in many articles, blog posts and in books by well known authors Paul Kengor, Aaron Klein and Jerome Corsi. He has given hundreds of radio interviews and addressed audiences in more than 40 states in several tours of the United States.